Ditch paperwork for a cloud solution done right. 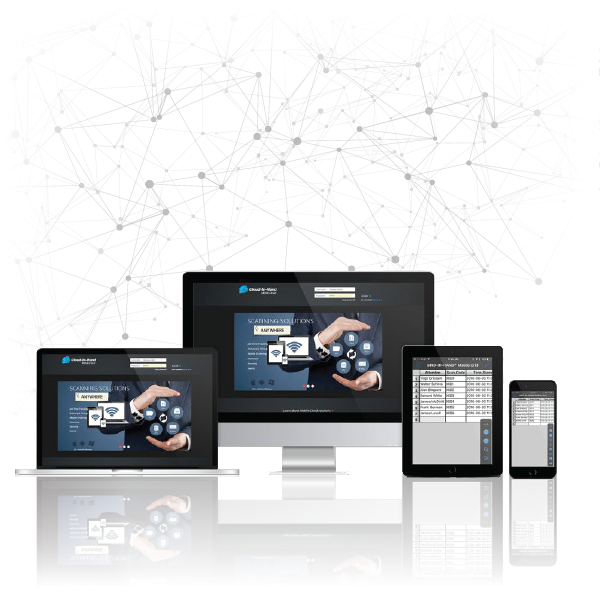 Our software is platform agnostic including Android, iOS, Mac, and Windows. Our scanners can handle everything from QR codes and UHF tags to PROX and SEOS credentials. Built from the ground up to integrate with any back-end program, from access control and active directory to LMS and ERP. Leverage existing systems and make them mobile. The Cloud-in-Hand® Framework allows you to automate your workflows. Ditch the endless spreadsheets and pen & paper for a solution that is designed around your business rules to save time and money. Supercharge your organization with easy-to-use mobile apps that collect data, sync across platforms, and provide actionable reports. Elegant solutions for classes, trainings, task tracking, and more. A Powerful Mobile App -- Designed by You, Built by Us. Schedule a quick 10-minute call to get valuable insight, education, best practices and more. "I have been successfully using the Cloud-In-Hand® mobile app on iPad / iPhone / iOS since 2012 to run a bicycle valet service in Portland..."
"The estimated work related cost savings for our department after implementing CIH is about $6,000 per year in record-keeping and employee labor." Ready To Use Cloud-in-Hand® Solutions For Your Next Project? Get your free consultation. Find a Solution.